Many thanks to Gerber Good Start for sponsoring today’s story and making it easy to eat healthy on the go! Years ago, when my oldest child was still just a baby, we visited a theater in Missouri that was famous for its bathrooms. My husband confirmed reports that the men's restroom even had a pool table. The ladies room was filled with stained glass, fresh flowers, and trays of perfume to use, but as a new mom, the thing that really impressed me was the fully stocked baby changing area. The padded changing table was filled with baskets stocked with everything a mom and baby might need away from home. Diapers in every size, wipes, and even snacks for toddlers are just some of the things I remember being there. In the theater, children were welcomed too, and booster seats were provided for those too small to see over the people sitting in front of them. The show was loud with big effects and bright lighting, and before the night was over I ended up taking my baby to the nursing room. I could still see and hear the show there as I rocked my sweet girl to sleep in the dim room and controlled the volume of the speakers. I remember feeling, even with my tired girl at the end of a long vacation day, that people there anticipated our needs long before we arrived. They wanted us there! Because of that experience, my husband and I were inspired to make small changes in our church nursery. Even before we were married, we were both involved in our church, and we taught the 3-5 year old class for years, even before we had children of our own. Looking at familiar things from a parents viewpoint can change though, once you have children, and it did for us. We did obvious things before like cleaning the toys, but that parent friendly bathroom led us to discuss changes in our church nursery with friends. We started small. Parents donated diapers and wipes from their own homes, then we ended up purchasing more sizes as they were used. Lately we've been helping out with that age group again and have noticed that some of the same changes could be beneficial in our current church nursery. 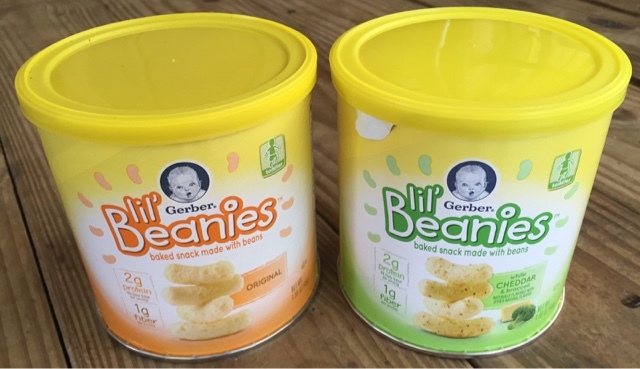 Gerber Lil' Beanies are a perfect snack option to provide. Both the Original and White Cheddar and Broccoli flavors are wholesome choices with no artificial colors, flavors, or preservatives. 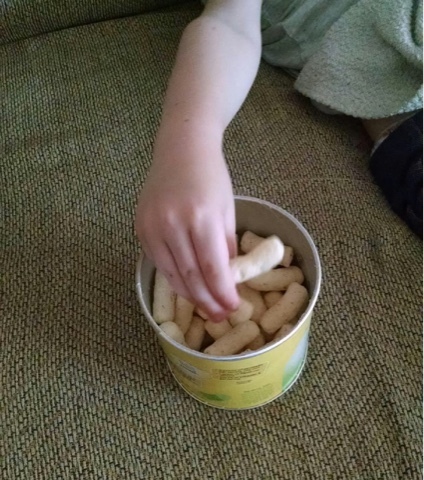 Self-feeding No-Mess Snacking Options: Lil’ Beanies(TM) allows for toddlers to feed themselves with minimal mess which makes snacking a happy experience for everyone. Made from the goodness of navy beans, Lil’ Beanies(TM) has 2 grams of protein (9% Daily Value) and 1 gram of fiber per serving. Also, Lil’ Beanies(TM) is baked, not made with genetically engineered (GM) ingredients, naturally flavored and has a taste toddlers love! 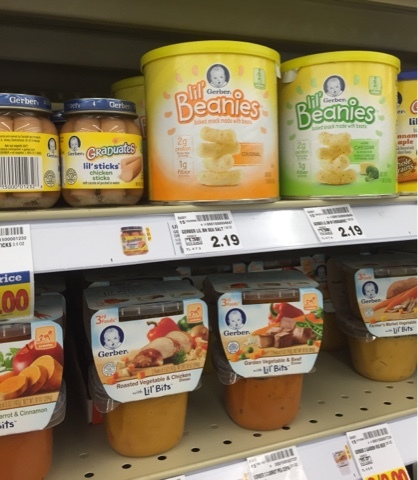 We found Gerber Lil' Beanies (TM) at our local Kroger right by other Gerber Lil' treats. Have you been welcomed like that in a way that just makes you feel right away that you belong there? How have you been shown extra special hospitality? 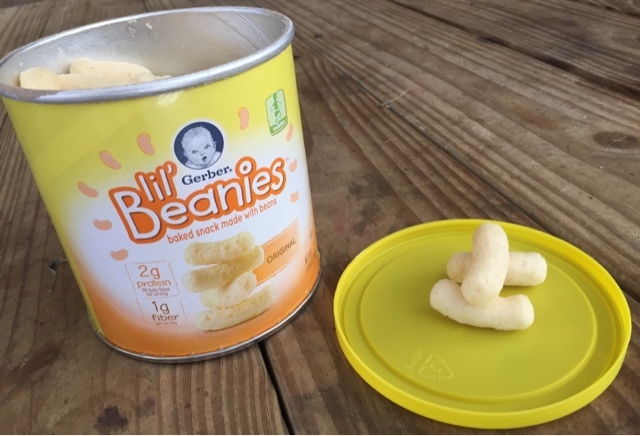 Was it a thoughtful snack like Gerber’s new baked snack made with beans, Lil’ Beanies(TM) or a kind gesture? I have friends who recently had a baby and they always make comments on how it's nice when places seem to make things easier for parents. I had no idea of the little things that mattered so much to new parents before they had their kid! You are so right, Kaley. Little things can show you care in a big way.